A business has to accept and realize the fact that giving presentations is completely normal and there will be times when customers and clients would be interested in obtaining more information about the company. Presentation folders are an excellent tool that can be used by every business for making business presentations and also providing the audience and customers with something worthwhile. These folders allow a business to pass on concise, relevant and organized information to people and promote the company along with its products and services. 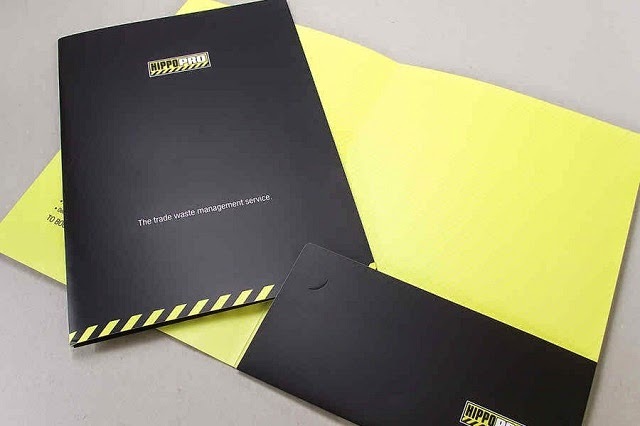 Presentation folders are used widely these days because they are lightweight, thin and incredibly durable, enabling potential and existing customers to learn all about the business in an elaborate manner. 1- The local office supply store can be visited for purchasing report covers or clear-cover presentation folders. Businesses can also choose to purchase them online. 2- Desktop publishing software such as Adobe InDesign or Microsoft Publisher can be used for creating a document that can be inserted in the cover of the presentation folder. If there is a border on the chosen covers, the size of the document should be accordingly customized to suit the designing needs. 3- A color printed can be used for printing the documents as this ensures that the images and text on the folder are clear and visible. 4- Now the documents can be inserted in the presentation folders by peeling off a protective film. The best part of using these presentation folders is that it is possible for a business to print out organized information in bulk and hand it out to customers so that they can learn as much about the company and its operations, products and services as possible. It isn’t necessary for a business to spend a ton of money on this marketing strategy, but they are able to enjoy its benefits and also provide information to their business partners at the same time. Printing presentation folders has become a trend for most businesses for another reason as well; everything can be kept organized. The inside and front of the folder can be customized to reflect the company and its offerings. They can be handed out to people during conventions, events or in meetings. Both local and online-based businesses can be promoted with printed presentation folders, as long as it’s done professionally. They can prove to be immensely useful in educating everyone about what the business has to offer and how its products and services can fulfill their needs in the best possible way.